Jeffrey was making his Christmas list earlier today. Actually, what he was doing was circling about 75% of the toys in the Target toy catalog. One of the toys he wants is the Fisher Price Classic Record Player. Wait. “Classic”? I had one of those when I was a kid and I am NOT old enough for my childhood toys be called “classic”. *sigh* So, then I started thinking of the other toys we played with back then. (Using the Amazon link so I don’t get in trouble for swiping the photo)There was the Sit ‘n Spin, which allowed us to spin around really fast, because nothing says “fun” like yakking your lunch and/or walking into a wall. 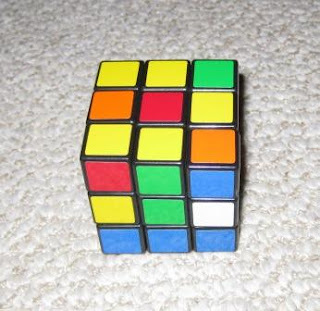 The Rubics Cube, which taught us all how to cheat. Does anyone know more than one person who could actually solve that thing *without* taking the stickers off? 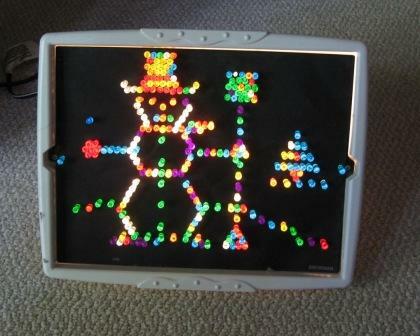 Ooh, Lite Brite! 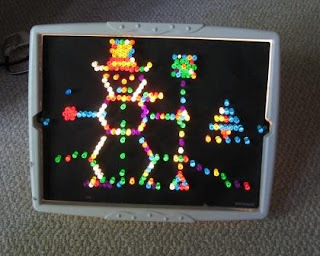 I have nothing bad to say about Lite Brites. What’s not to love? My kids have one now. There was the View-Master. I had disks with everything from Micky Mouse to The Seven Wonders of the World. Of course, just as often it was a “camera”.